Instead of framing her bathroom mirror with the traditional wood frame, Ashley opted for a border of frosted glass. 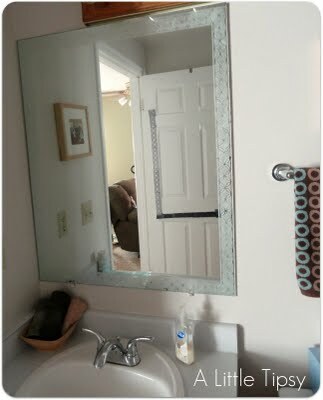 A great alternative for someone that doesn't want to invest a ton of money to dress up an old mirror. 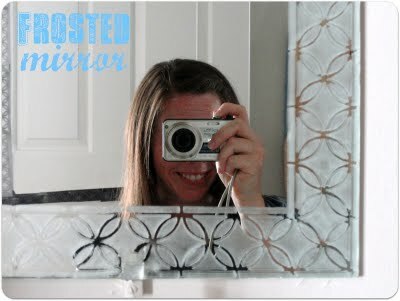 It turned out beautifully and she will show you how to create your own frosted mirror over on A Little Tipsy.